As I look back over the last year, it's easy to pick out the products that deserve end-of-year recognition. There were some products that I purchased following their review. That always indicates something special. Then there were products that I wish I could have justified purchasing because they represented a fantastic example of their genre but I couldn't justify depleting the kid's college fund because - well, I've already got a nice stable of equipment. Then there was the product that simply surpassed my expectations for products within its genre and may well have set its sights on products of another genre. The Bryston 28B-SST is just such a component. 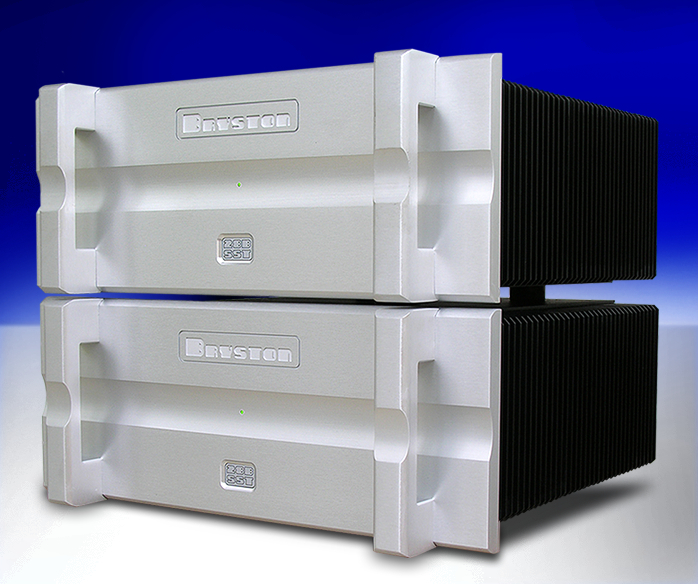 I first became interested in the Bryston 28B-SST mono block amplifiers when I read their press release. It proclaimed a 1,000-watt mono amplifier whose first watt sounded as good as the last. That intrigued me. What is it that SET aficionados are so fond of saying: if the first watt is no good, who needs 99 more of 'em? While I'm neither a solid-state nor tube zealot -- I've long thought that there are many roads to Nirvana -- it certainly is true that some large amplifiers sound rather poor into high-efficiency speakers. My own Bryston 7B-STs were just such amplifiers. They were fantastic when pushing a pair of Magnepan 3.6Rs with their low efficiency and torturing phase angles. I bought the Brystons because the speakers overheated and shut down the rest of my amplifiers each time I allowed myself some enthusiastic listening levels. But boy did the Brystons take those bulls by the horns. Yet into higher-efficiency speakers that never allowed the 7B-STs to reach full steam, the Brystons could actually sound both thin and anemic. Not bad really and while never compressing of course, the fact was that they didn't even sound as though they were particularly powerful then. Well, Bryston won't be hearing that criticism of their 28B-SST. While the review is yet to be finalized, I've had enough time to cycle all speakers under my roof through the 28B-SSTs and they've proven spectacular amplifiers. 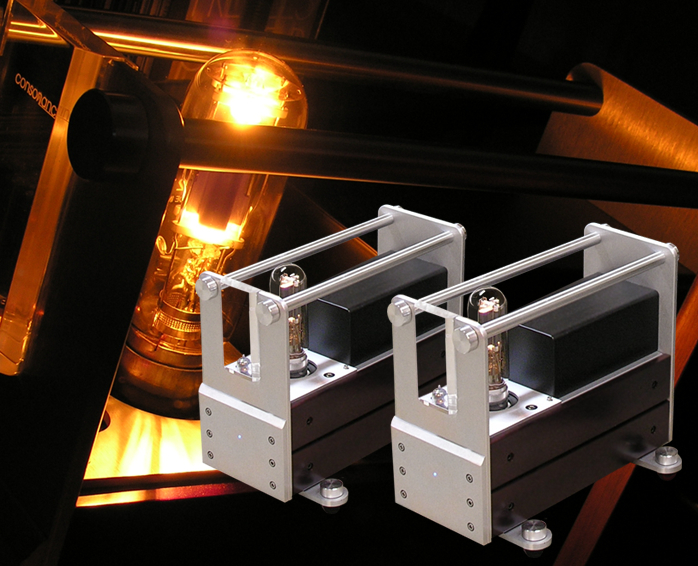 Even when used with my 96dB Hørning Perikles, these amplifiers sound as if they were designed with them in mind. First, no matter what you tether to these Brystons, the amps sound powerful. Like no other amplifier I've ever heard, these amplifiers always sound like they have 1,000 watts on tap. There's never any doubt. Second, the amplifiers seem completely load invariant. No matter what speaker used, the personality of these amplifiers is steadfast and consistent. Third, that personality is the antithesis of what tube fans think when they consider solid state. There's not a wisp of the cold hard sterility that so many associate with transistor amps. On the contrary, I've compared these 28B-SSTs to my own Canary CA-330 amplifiers, which utilize dual Western Electric 300Bs in push-pull. The Brystons were the warmer and smoother amps. They couldn't quite match the illuminated-from-within quality of the 300Bs but they came embarrassingly close for such powerful sand amps. In all aspects I can think of except one, these brutes out-tube a lot of tube amps. The one area where the Bryston will never be confused with tubes is in the bass. That bone-crunching 1,000 watts Armageddon-style bass is truly awesome. At $15,000/pr, these are as beyond my wallet as their performance is beyond my expectations yet my hope is that with a little trickle down of technology, Bryston will instill in their smaller amps the same degree of musicality demonstrated by the 28B-SSTs. If that happens, everybody wins. In any case, if you're in the market, don't make a move until you get a listen. The Bryston 28B-SSTs are spectacular. The Bryston amplifiers came as the year's biggest surprise because, frankly, I had no idea that such a powerful pair of solid-state amplifiers could displace my 300B amplifiers in my system had I the budget to keep 'em. But when it came to the reproduction of the vinyl LP, I was pretty sure that it could get a lot better than my Rega P9. The question was, at what cost? 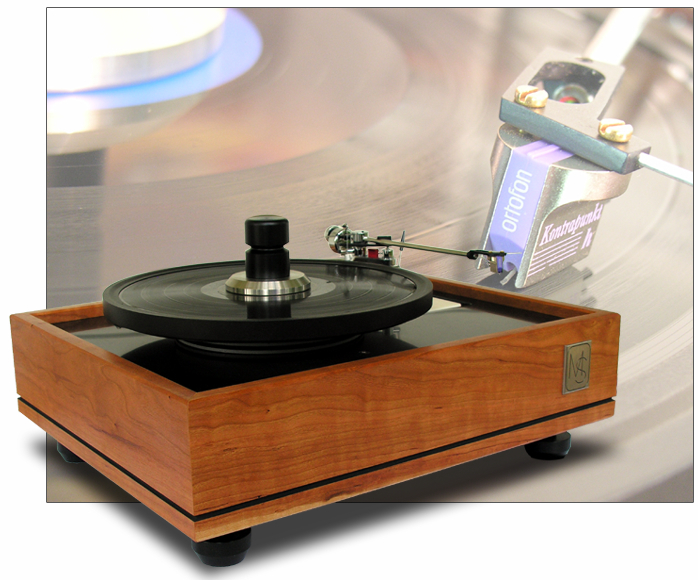 There are some insanely expensive turntables out there. That said, when it comes to justifying a product's price given the small markets, labor-intensive nature and quantity of close-tolerance machining involved, I can see where the money is going when I look at a lot of turntables. I don't begrudge turntable manufacturers what they ask for but the question is, how much, exactly, does it take to get to the next plateau above what one already has? The Merrill-Scillia Research MS2 turntable proved that price point to be more within reach than I thought. When united with my own Hadcock GH 228 Export arm and Ortofon Kontrapunkt H cartridge, I discovered that a sub $10k analog playback system could deliver music from the LP as I had never heard it before. The MSR M2 delivers full-bodied, tonally enriched music that no CD system I've heard can match. For those spoiled by the silent backgrounds of CD, the MS2 is quieter and produces lower levels of clicks and pops than any table I've used while it removes these spurious artifacts from the context of the music making so that what remains becomes far less objectionable. The Merrill-Scillia Research MS2 is a lovely discovery and I'm enjoying the LP more than I ever imagined I would. The Mark & Daniel speaker company is one heck of a discovery even if I'm one of the last moon men to join the party. The little Maximus Mini is a cool speaker for those on a budget but for those with more money to spend, the big Apollo II is proving to be tons of fun. 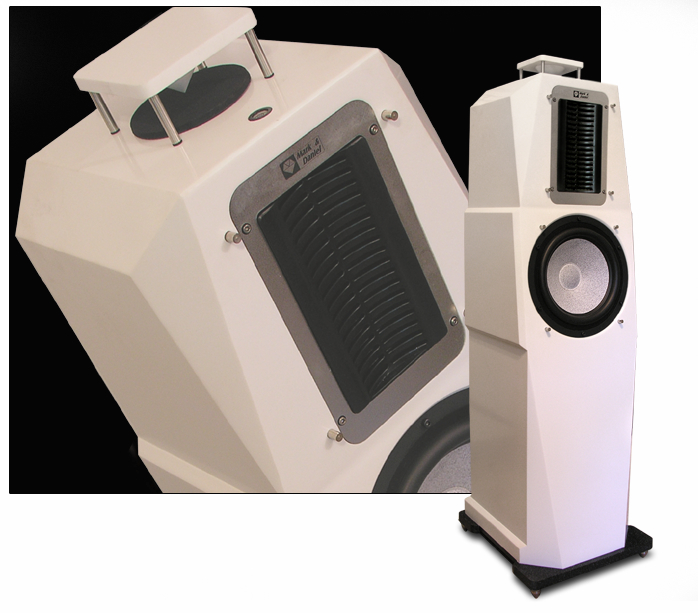 It's a fairly large and full-range speaker with a major amount of quality bass for a speaker its size. The Apollo's dynamic range is awesome. Not only does it go loud, it does so with remarkably little strain which means that even if you don't often put the pedal to the metal, you can do so once in a while with far less fatigue than normal. So there you go - loads of bass and really loud. That's fun. But wait. If you're not impressed yet, there's more. The big Dreams 3 driver spans 800Hz to 20kHz and does extremely well for an enormously coherent driver. The Apollo II is remarkably transparent and really responds to your electronics so you'd better be happy with what you have. In my case, they sound spectacular with the Bryston 7B-SSTs and, while a little differently, respond extremely well to my little Bel Canto e.One Reference 1,000 monos too. Somewhat paradoxically, the Mark & Daniel speakers are remarkably revealing yet possess a very friendly and somewhat forgiving nature. They're not all about hedonistic fun, either. These are some expressive speakers that will be the vehicle for some real musical appreciation for a long time to come. The 16-watt Opera Audio Cyber 211 mono amplifiers are a lot less expensive than the big Brystons and not of the same kind of universal appeal. That means they'll have to be used more judiciously, that's all. While they don't have the power to drive the Mark & Daniel speakers, they sound like a little slice of heaven with the Hørning Perikles and an even bigger slice with the RL Acoustique Lamhorns 1.8 with AER MK-1 drivers. They elevated the performance of the Hyperion HPS-986 to new heights, meaning they'll be magic with a lot of speakers. They're quiet and deeply detailed with a sweet treble and they don't impress with flash or sonic spectacles. The more I listen to them, the more deeply satisfying they become. And if you like the looks of tube amps, you'll love the look of the Cyber 211s. Last but not least, for far too long have I ignored the wires and cables in my system. Isn't life too short to be testing wires? Eventually I did succumb to Chip Stern's clamoring that I needed to pay attention to the gastro intestinals and neurologicals of my system and I brought in the new JPS Labs Superconductor 3 interconnects and speaker wires. Chip was right. Once the cables were burned in, I removed them from the system only to discover that there would be no going back. My system sounded as though it had been injected with Thorozine. Installing the Superconductor 3 again restored the transient snap, tightened the bass and illuminated the soundstage. I've been using JPS Labs power cords for years and also upgraded to a couple of their Aluminata power cords. I'd heard these the first time when Chip brought one to my home and impressed me with what it did for the Art Audio Carissa. It's just great stuff. While life may be too short to spend on listening to wires, they are important. It's amazing to hear what they can bring to the performance of a mature system. 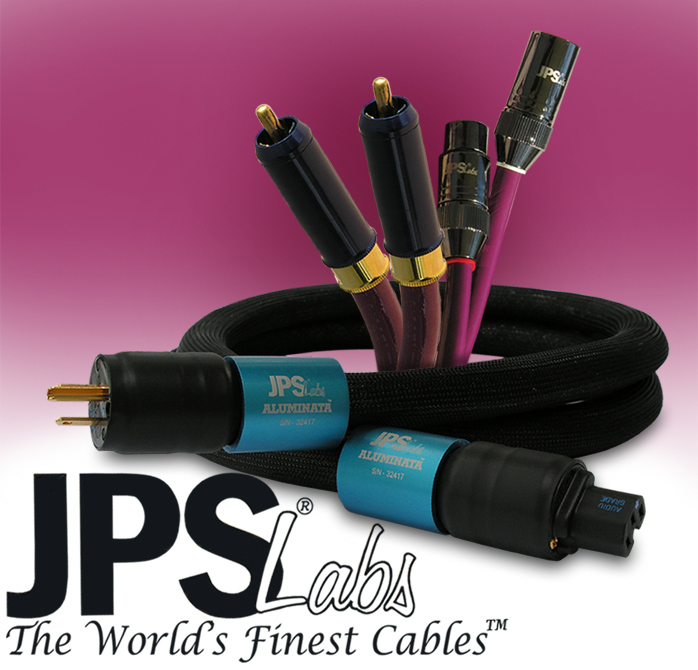 It's also really good to know that there's one place for fool-proof one-stop shopping for great cables and wires: JPS Labs.